Savannas, bogs, marshes, fairly dry fields. 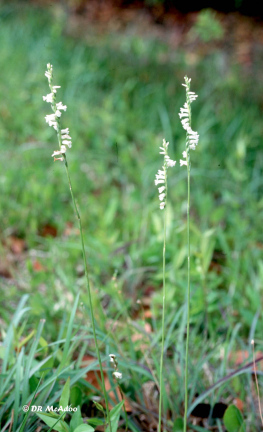 Rare in NC Mountains, uncommon in Piedmont, common in Coastal Plain. Per North American Orchid Conservation Center "This orchid is pollinated by bees in search of nectar, including Apis mellifera, Bombus impatiens and Bombus pensylvanicus. The labellum occasionally has two orange or brown spots near the center. 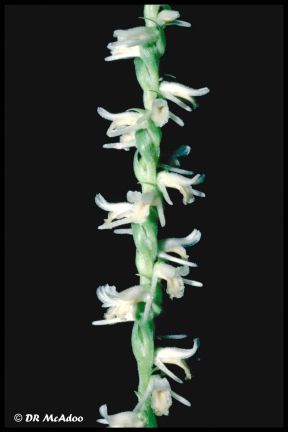 It can be distinguished from other Spiranthes species by the pointed tips of the hairs on its inflorescence, as opposed to rounded tips seen in other species such as S. laciniata.."